Here’s some shocking new news: French fries are not healthy. That doesn’t mean that we can’t shovel them into out mouths by the handful once in a while though. But some academics are out to crush your golden, fried, crispy dreams. According to the New York Times, Eric Rimm, a professor at the department of epidemiology and nutrition at the Harvard TH Chan School of Public Health, calls potatoes “starch bombs”. In a way, he’s got a point. A large order of fries at McDonald’s clocks in at 510 calories, while Five Guys’ large portion is a staggering 1,314 calories. 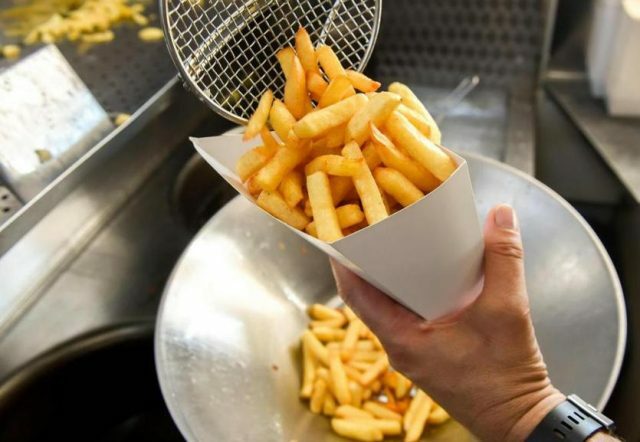 Additionally, a study from The American Journal of Clinical Nutrition referenced in the original NYT piece also notes that those who eat fried potatoes two to three times a week were at a higher risk of mortality. Our love of fries may kill us, but we’ll die happy and full and that’s all you can really ask for.